Desperate is a B-film from 1947. Anthony Mann Directs and helps with the original story. Of course Mann went on to A films soon after this and created some classics in the noir genre as well as some other Hollywood classics. I recently reviewed Two O’Clock Courage from Mann which he made 2 years before Desperate and you can see his growth between those two films is petty huge. Though I liked Two O’Clock Courage, Desperate is darker, the story is better and the cinematography is way ahead. There are a couple of scenes in this film that are noir cinematography at its best. The first scene where Burr and his gang is torturing our hero is amazing. The last scene with the chase/gun fight on the stairwell is worth watching the whole film just to for this one. 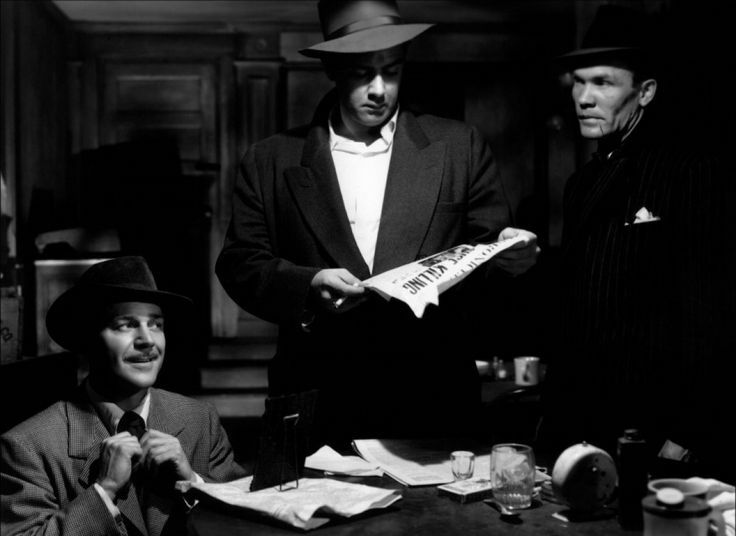 Our story is a basic noir tale, but it is always worth seeing different takes on it all these years later. Our hero is played by Steve Brodie who has his own truck and is recently married to Audrey Long. He gets a call from a stranger for a last-minute trucking job. He had plans with his wife but can’t pass up the $50 this job will pay. What he doesn’t know is this is a job where he will be hauling stolen goods for Raymond Burr and his gang of thieves. When he figures out he is on a robbery, he flashes his lights at a police officer. The officer is shot and soon dies by the hand of Burr’s little brother. Our hero pulls the truck away and Burr’s brother falls off the loading dock and is knocked out. Burr’s little brother is caught and charged with murder. Burr is soon on a rampage to free his little brother and frame our hero for the whole job, including the murder of the police officer. Our hero’s sole objective now is to get his wife to safety before Burr can find them. Will he succeed? Will he be able to save himself too? Will Burr and his gang get revenge? This is a very good B-movie noir and well worth checking out. Fans of Mann will like this film and will want to seet his early work. As per usual Raymond Burr steals the show, this being only his 4th film and his first film noir. This maybe the reason Burr was cast for years to come as the ultimate heavy in film noir. His performance is worth watching this film for as well. yes I just saw that not long ago. Terrific film. Nice review.